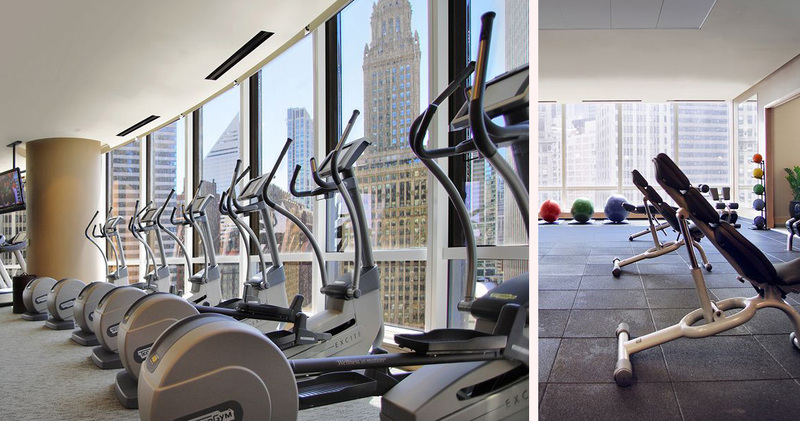 Housed in a 92-story high building, Trump International Hotel & Tower Chicago has bold style, a Michelin two-star restaurant and luxurious accommodations. 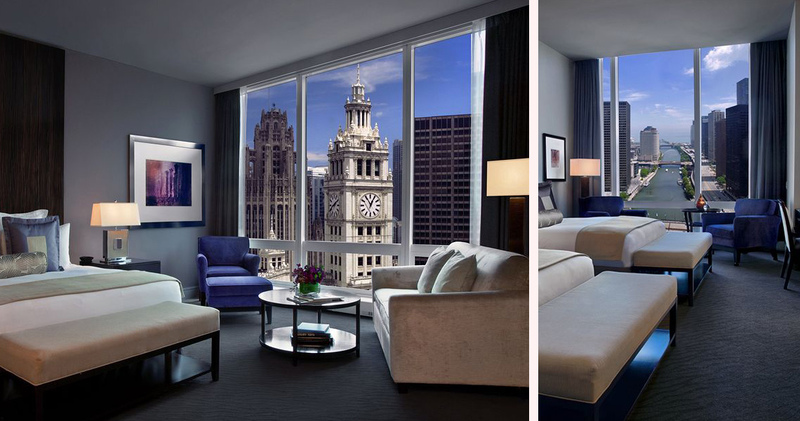 Trump International Hotel & Tower Chicago is located close to the Riverwalk and Magnificent Mile. The hotel is housed in the world’s tallest reinforced concrete building with an exterior of iridescent-tinted glass and stainless steel. The luxury boutique hotel was awarded a Five Stars Rating by the Forbes Travel Guide in 2014 and 2015. 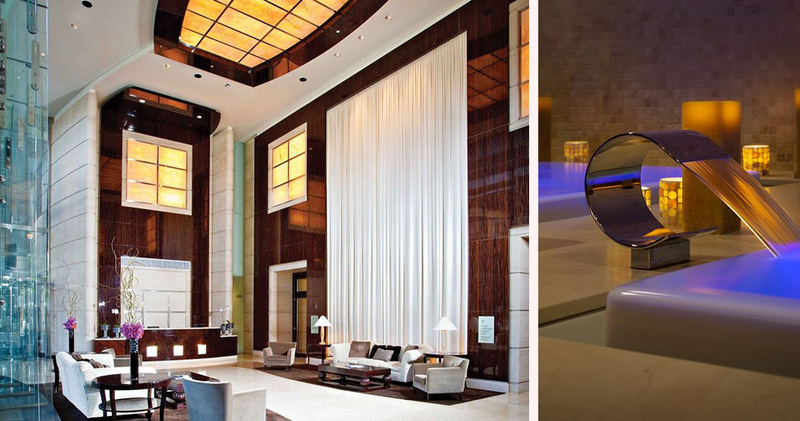 Trump International Hotel & Tower Chicago’s lobby is grand and chic with soaring high ceilings, contemporary furniture and a sophisticated color palette. Trump Attache is the hotel’s signature service through which guests get access to personalized stationery, custom-stocked kitchens and personal assistance. 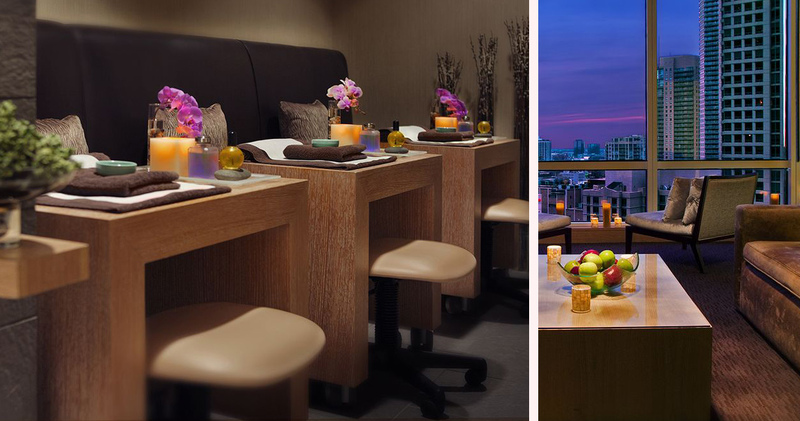 The hotel is also home to a 23,000 square foot luxury spa and the first signature salon by Anthony Cristiano. 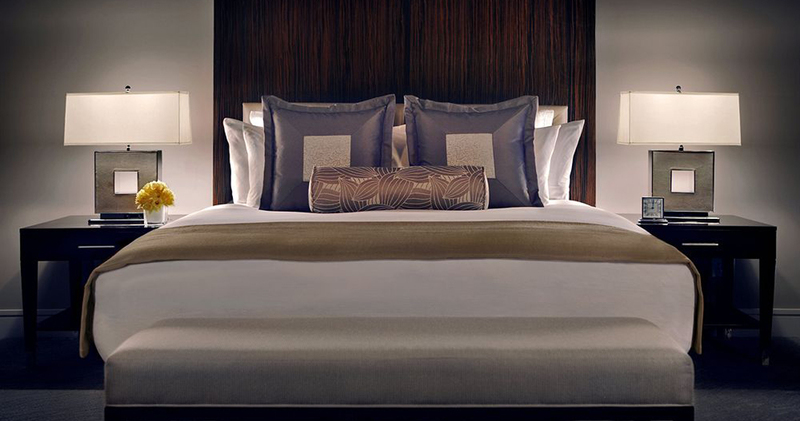 The guestrooms at Trump International Hotel & Tower are elegant and contemporary. 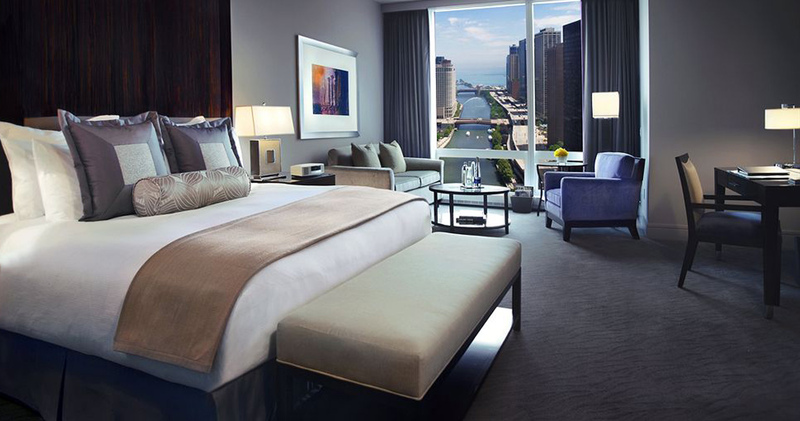 Featuring 10-foot windows with beautiful Lake Michigan views, the rooms are bright and airy. Guestrooms feature a fully stocked kitchen with a Nespresso coffee machine and sub-zero refrigerator. For entertainment, guests have access to a 65 inch Samsung display, DVD player and GuestTek TV System. The beds are luxurious and comfortable with Italian Bellino linen. 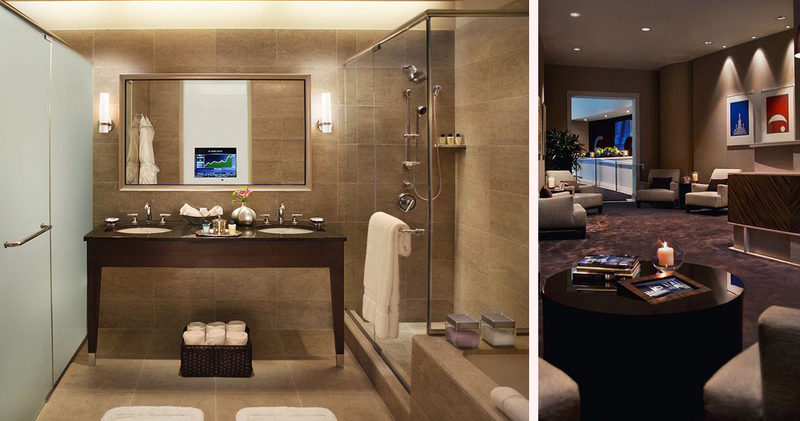 The spa-inspired limestone baths feature a rainfall showerhead, deep soaking tubs and custom bath amenities from the Trump Spa. 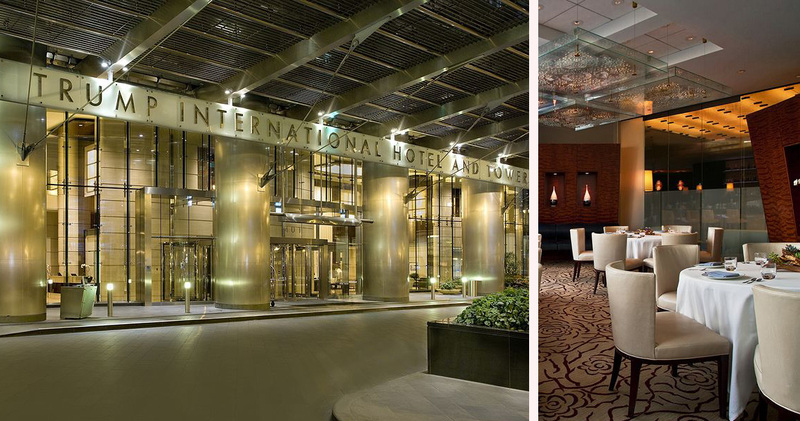 Trump International Hotel & Tower Chicago is home to Sixteen, a Michelin two-star restaurant. 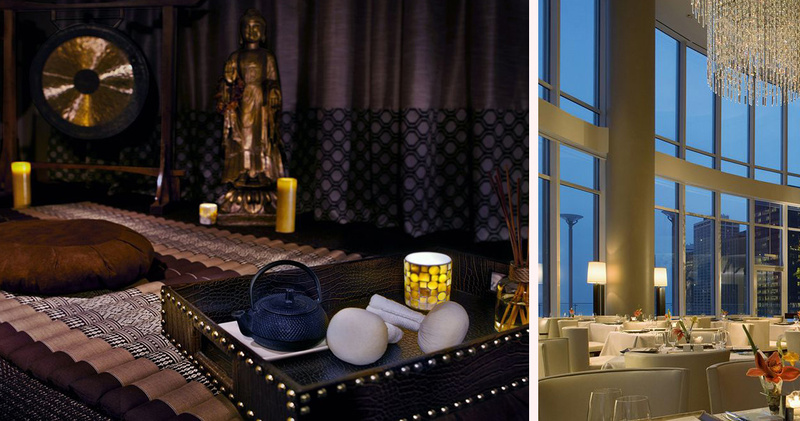 Offering panoramic views of the city from 30-foot windows, this sophisticated restaurant serves modern American cuisine. The Terrace is a serene outdoor restaurant with green landscaping, al fresco dining and boutique wines. Guests can also choose to enjoy artisanal small plates and hand-crafted cocktails at Rebar. 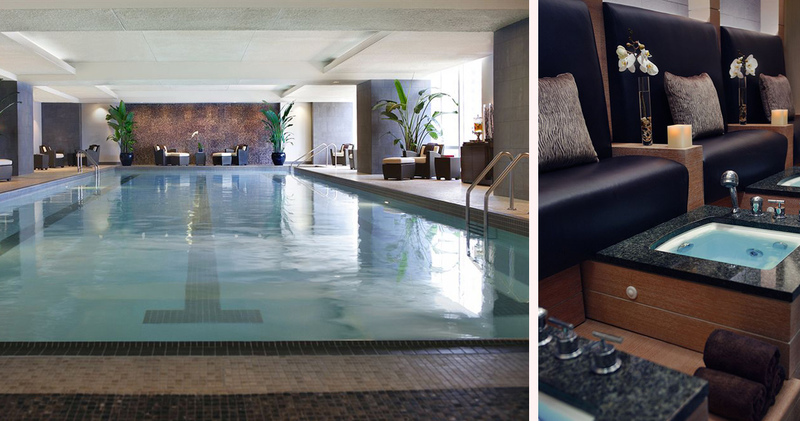 Near North neighborhood of Chicago has an upscale, trendy vibe with elegant architecture and luxurious hotels. The area is best known for its elegant dining and luxury shopping options. Travelers will find Near North an energetic neighborhood with its luxury boutiques, abundant number of bars, sophisticated restaurants and its farmer's markets. There are several late night clubs and bars on Division that offer entertainment. The neighborhood is also home to Chicago style steakhouses like the celebrated Gibson's Bar and Steakhouse. Near North is home to many popular attractions like the Richard H. Driehaus Museum, the Lookingglass Theater Company, Tribune Tower and the Holy Name Cathedral.